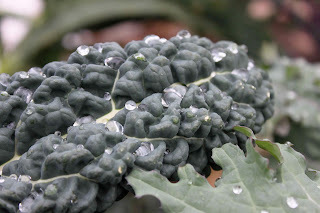 Niki Jabbour - The Year Round Veggie Gardener: A mid-autumn garden tour..
Ah.. the brisk days of mid-November are upon us.. the leaves have finally fallen off the trees (except for the oaks) and frost is a regular garden visitor. In fact, tonight a frost seems likely and perhaps even a bit of snow. Now that the sun is setting, I thought I should 'tuck in' the garden for the night and just closed up the ends of the mini hoop tunnels and partially shut the tops of the cold frames. 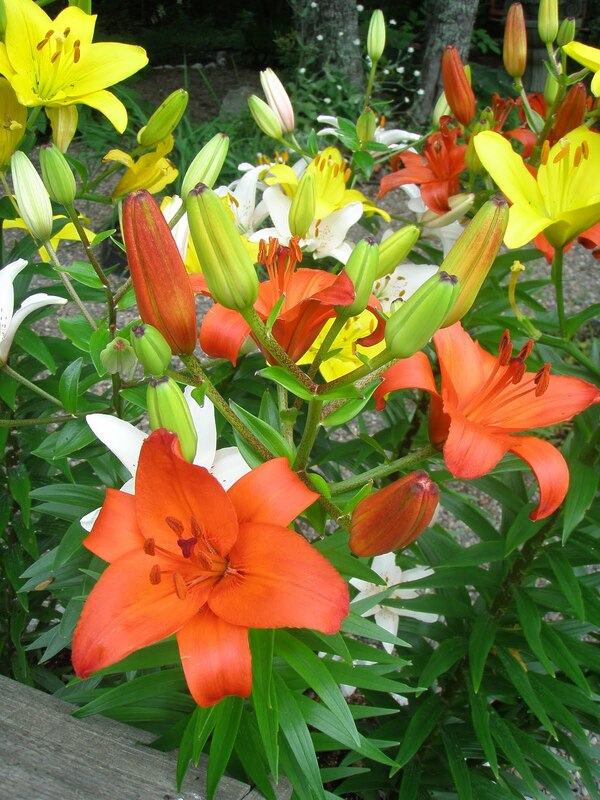 Although the days are shorter and the nights are colder, there is still a lovely bounty awaiting me each time I go up to the garden. 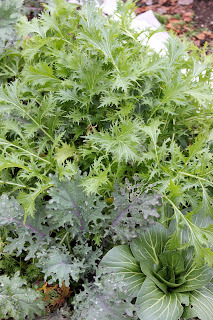 Six different types of kale, carrots, leeks, parsnips, beets, scallions and a lovely selection of herbs and salad greens. 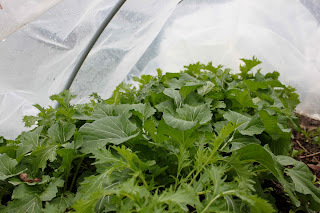 It's been rather mild this autumn and the cold season greens, like our mustards, tatsoi, mizuna and baby kale have grown quicker and larger than I had anticipated and the mini hoop tunnels are a complete carpet of green under their protective cover. 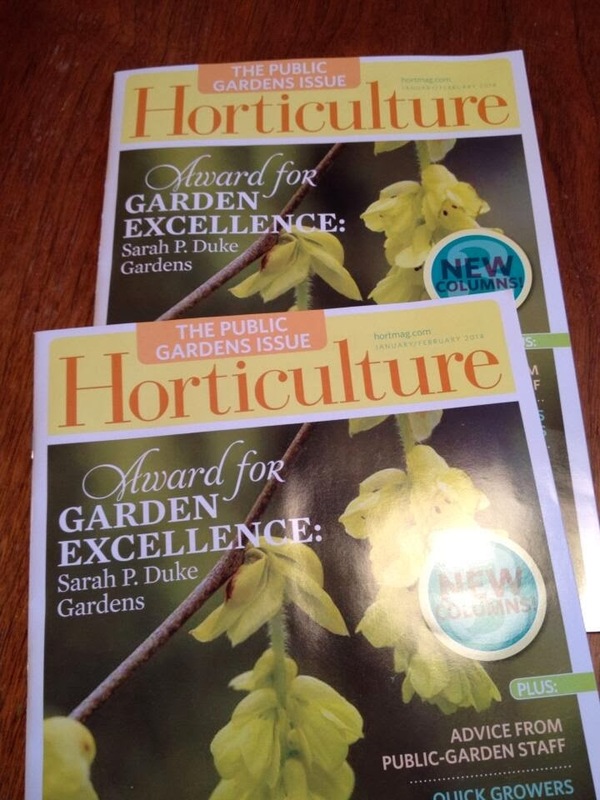 This morning I was interviewed by the lovely Kate Copsey, the host of America's Home Grown Veggies radio show. Our 1 hour interview will air on America's Web Radio on Saturday, Nov 26th at 10 am EST. Thanks Kate - I really enjoyed our chat! 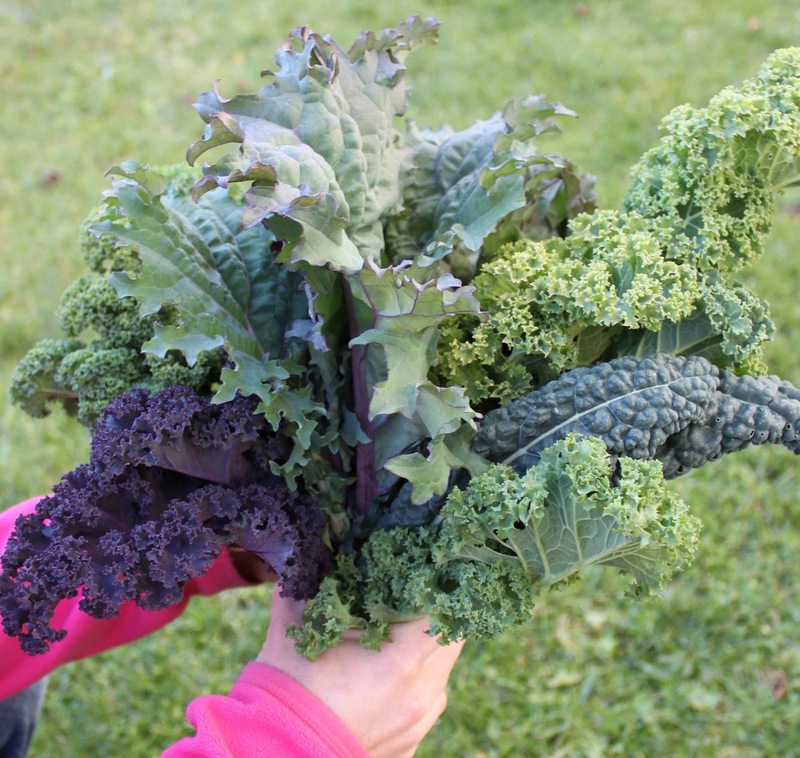 All our various kales in a pretty (and tasty) bouquet! 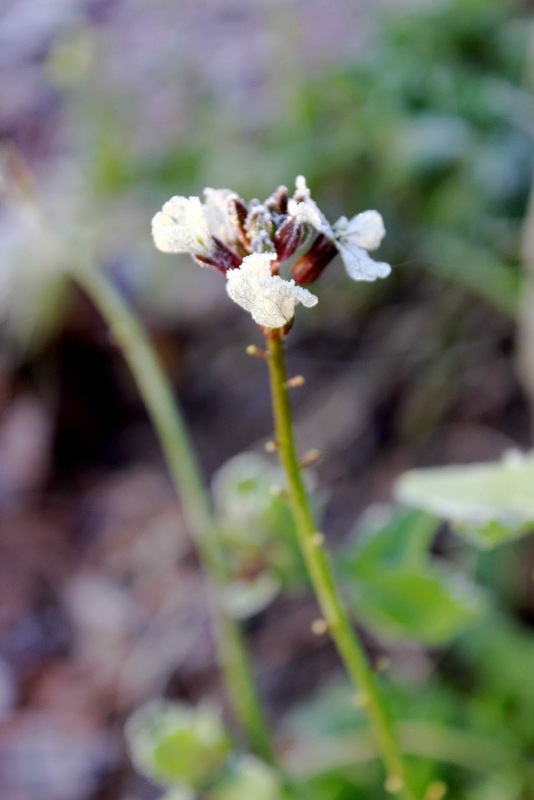 Frozen arugula bloom - so pretty! Do you see the web attached to the frozen arugula flower? A peek under the cover of one of our mini hoop tunnels.. a blend of hard Asian greens! 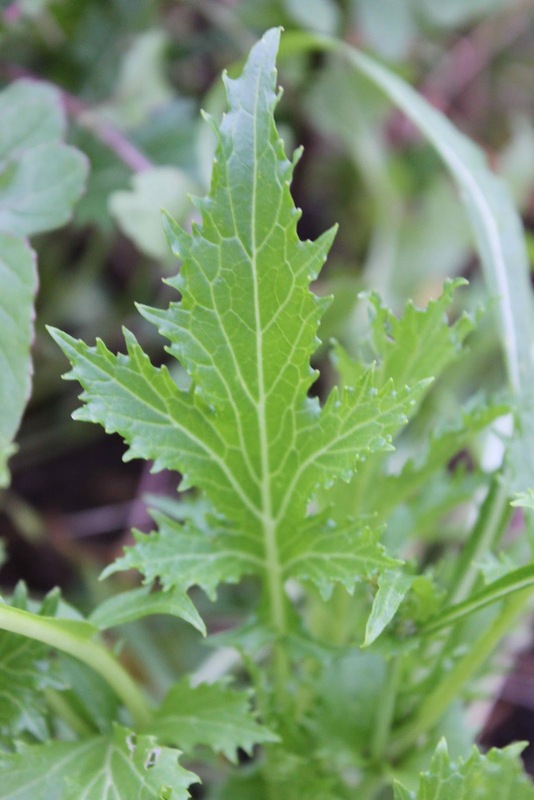 Mizuna. So lovely. This one kind of looks like a maple leaf. Hardy greens in the unprotected garden. I just tossed a row cover over them, but they shrug off autumn weather and frosts. 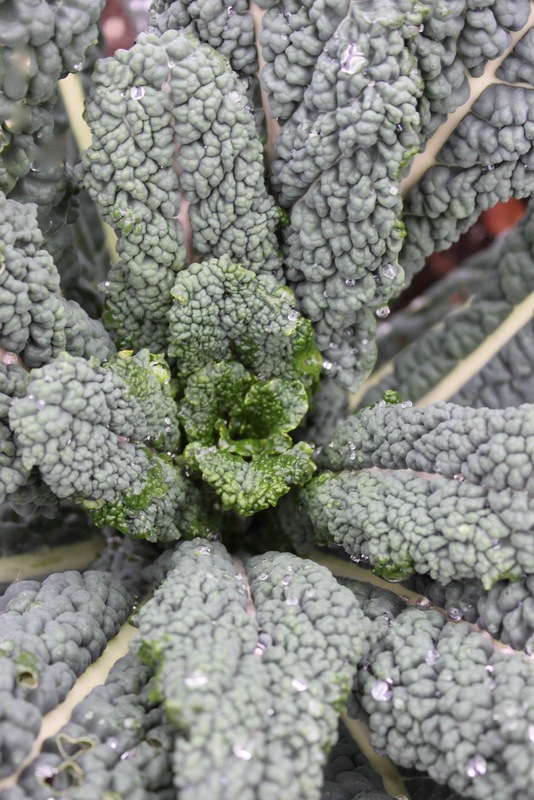 Dinosaur/Lacinato/Tuscan/Black kale.. so many names, but such a lovely plant. Dinosaur kale, meet Red Russian kale..
Feathery mizuna - great in salads, stir-fries or wrapped around sushi rolls instead of nori. Italian parsley. I just picked a big handful to make a nice grated carrot salad for supper..
Beautiful produce! I just got in from closing up my cold frames. 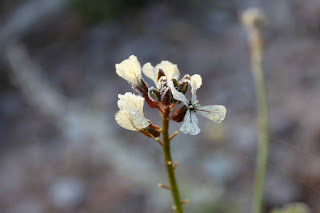 It is supposed to be 29 tonight, which certainly won't hurt the cold crops. But it makes me feel better to take care of them. 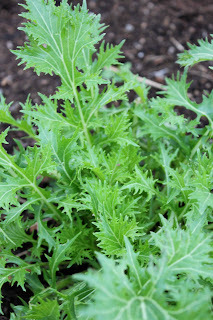 Don't you love the mizuna? 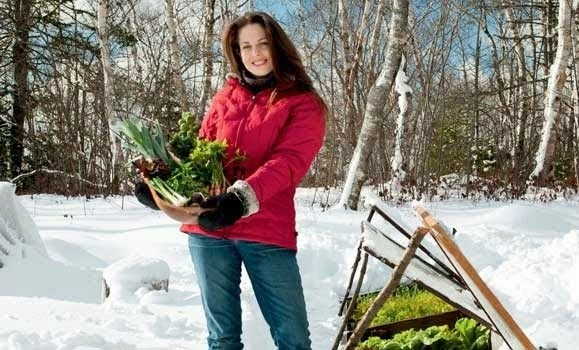 Hey looks like you'll be eating green all winter. 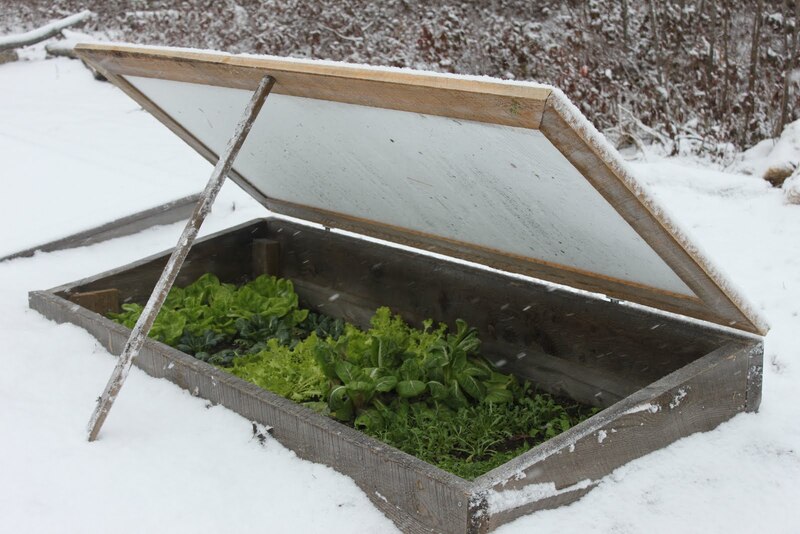 We have 3 cold frames this winter as well. Enjoyed seeing the Mizuna we have been eating it like crazy for weeks now too. Hi Niki, Who needs flowers when you have such pretty kale! Add to that the bonus that your bouquet is tasty too. 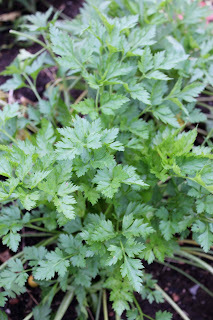 I like the idea of mixing parsley and carrots in a salad and will have to try it out with my family.